Located just 15 minutes from our BEST WESTERN Midway Hotel in the heart of Chicagoland, the Country Club Hills Theatre is one of Chicago’s most popular outdoor concert venues, that combines stylish, modern architecture with state-of-the-art audio and video technology and offers an intimate concert experience in its 5,000 seat space. 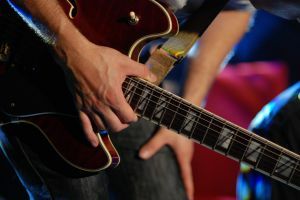 Every summer, the theatre puts on a summer concerts in Chicago series with a variety of world-renowned artists and it is always an extremely popular event for guests visiting our Midway Airport Hotel during the summer months. With a variety of different performers in a range of different musical genres, this summer concerts in Chicago series is sure to have something for everyone, and we highly recommend visiting the Country Club Hills Theatre website before coming to town to see if there is a concert playing during your stay that you would like to see. Tickets for the shows range from $15.00 up to $85.00 depending on the artists and the seats chosen. Tickets can be purchased through Ticketmaster or through the Country Club Hills Theatre’s website. For visitors to Chicago who want to take advantage of some of the great concerts listed above, why not consider staying at our Midway Airport hotel? We are conveniently situated just 15 minutes from the Country Club Hills Theatre and many other great Chicago tourist attractions. Our experienced Midway Airport hotel staff can help you get the most out of your vacation so give them a call today!